Would Hypnosis Have Helped Prince Philip Prepare for His Operation? Prince Philip, the Duke of Edinburgh, is undergoing an operation today and at 91 years old, there must be some apprehension and concern for his health. There are increased complications for someone of such a high age. No one enjoys operations and it is perfectly natural and understandable that someone will feel some fear or at least worry at the thought of having an operation. We place ourselves in the surgeon’s hands but can we do anything to positively affect the outcome of the operation? The answer is yes – hypnosis. I have had two operations to remove brain tumours. For the first in 2001, I was a bundle of nerves, crying on my way down to the theatre because I did not think I would survive the operation and with the highest blood pressure reading I had ever had. I was in hospital for ten days as complications set in leaving me with partial paralysis of my arm and leg and slurred speech. Five years later I underwent the same operation, probably because the first surgeon did not completely remove the tumour so it regrew. On the day of the operation, with a candula already in my hand linked to a saline drip, I lay on my hospital bed and calmly took myself into self-hypnosis to ensure that I left for theatre in the most calm and relaxed way possible. The operation was completely successful and my recovery was so fast that I was allowed home in six days compared to the two weeks predicted by the surgeon. My convalescence period was also short and I suffered no side-effects. I credit my quick recovery to hypnosis and the power of my own unconscious mind which prepared me for a successful operation and fast recovery. The hypnotherapist had Stan project his mind into the future and see himself recovering well after his operation. Stan rang the hypnotherapist a few days later. He’d enjoyed being in hospital and getting all the attention and the operation went smoothly. He felt he’d completely overcome his fear, in just one session of hypnosis. 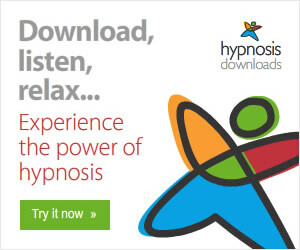 Before surgery, hypnosis can be used to lead the person into a deep state of mind and body relaxation in which positive suggestions are given straight to the unconscious mind to relieve anxiety, reduce bleeding during the operation, eliminate post surgical discomfort and even reduce the level of anaesthetic required. Fear raises adrenaline levels which means that more chemicals are needed to overcome the natural "fight or flight" reaction of the body and produce the state of anaesthesia. Hypnotists often use "safe place" imagery, in which the client begins by imagining him/herself in a location that feels safe and secure. Once the "safe place" is established, the feelings of safety and security are anchored in – an NLP technique – and the client watches the whole process of the surgery repeatedly but in a detached way, a bit like watching a film whilst sitting in a cinema seat. The person then rehearses successful surgery and recovery with suggestions for comfort, rapid healing and a positive attitude. Positive imagery aids in the rapid healing process, shortening recovery time, reducing swelling, bleeding and with a positive reduction in post-operative pain. 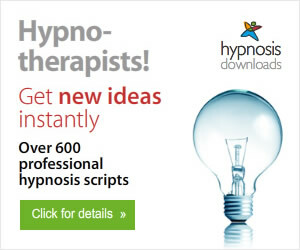 Ideally the person would have a few sessions with a hypnotist to maximize the beneficial effects. Personalized hypnosis sessions for your particular operation and circumstances are always best but if not possible, you can also download a hypnosis mp3 to prepare for surgery and a hypnosis “Prepare for Surgery” script is available for professional hypnotists. © Antonia Harrison 2013 is the leading English Skype Hypnotist in Hampshire and helps clients worldwide with #SkypeHypnosis.